Frances Scott Ponder, 74, of Zeketown RD Burkesville, KY, passed away Sunday, March 6, 2011, at Cumberland County Hospital in Burkesville, KY.
Funeral services on Wednesday, March 9, 2011, at 11amCT, at Ballou and Stotts Funeral Home, 304 North Main Street, Burkesville, KY, with Dr. Mark Shelton officiating. Burial in the Rock Springs Cemetery in Clay County, TN. Visitation will be from 4pm until 9pmCT on Tuesday, March 8, 2011, at Ballou & Stotts Funeral Home in Burkesville, KYBallou & Stotts Funeral Home, Burkesville, KY in charge of arrangements. Frances Scott Ponder was born in Celina, Clay Co., TN on Wednesday April 1, 1936. She was the daughter of the late Reba Boles Beechboard and the late Sheley Beechboard. 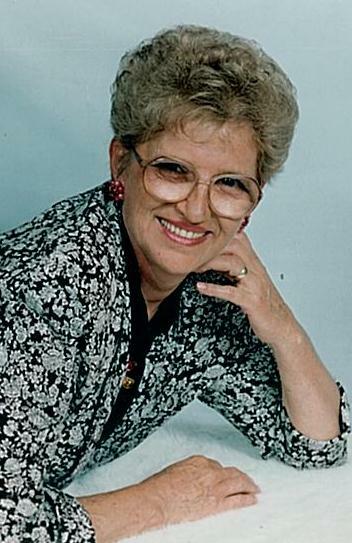 She died Sunday, March 6, 2011, in Burkesville, Cumberland Co. TN, at th the age of 74 years, 11 months, and 5 days. She was preceded in death by her first husband Eddie Randall Scott and one grandson, Joshua Scott. Ballou & Stotts Funeral Home, 304 N. Main ST, Burkesville, KY, in charge of arrangements. 2011-03-08 - 304 N. Main ST, Burkesville, KY - Photo from Ballou & Stotts Funeral Home.